Solid hardwood construction and mortise and tenon joinery combine in the Charlemagne 4-Drawer Nightstand to ensure its longevity and durability. 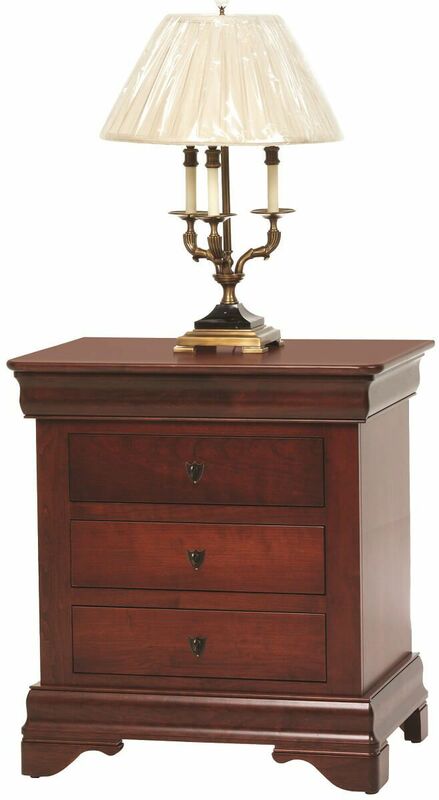 A lovely testament to traditional furniture styling, the Charlemagne 4-Drawer Nightstand boasts elegant moldings and decorative bracket feet. For the slow and controlled closure of each drawer in your Charlemagne 4-Drawer Nightstand, we've included soft close drawer slides. 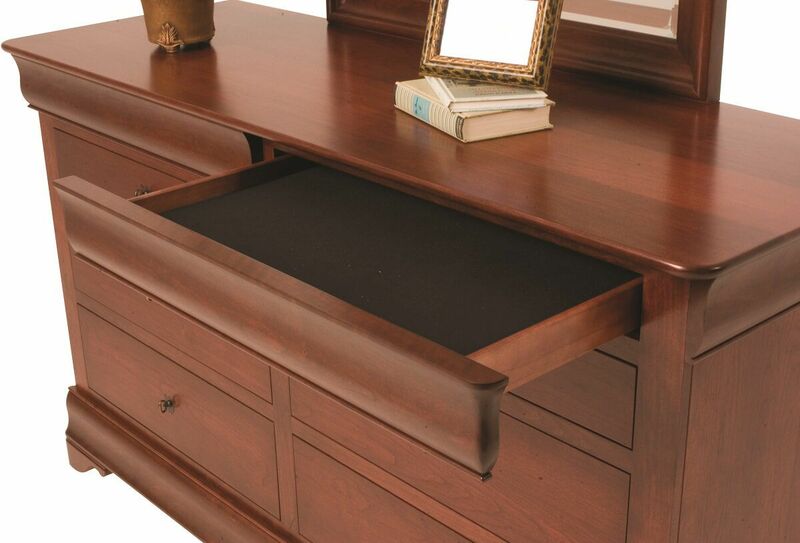 Additionally, full extension slides ensure ease of access to each attached drawer within your solid wood nightstand. A felt-lined drawer is disguised in the upper trim. 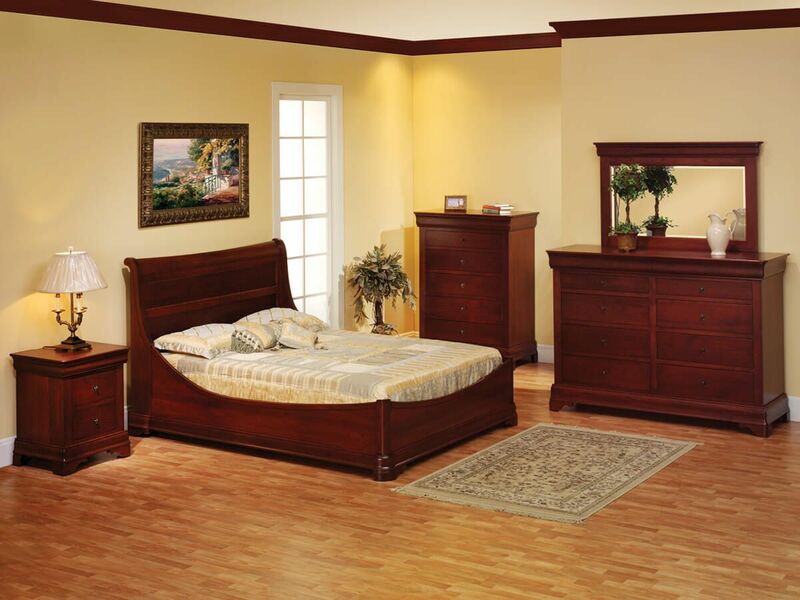 To obtain the pictured look for your own Charlemagne 4-Drawer Nightstand, choose Cherry with our Sangria finish. 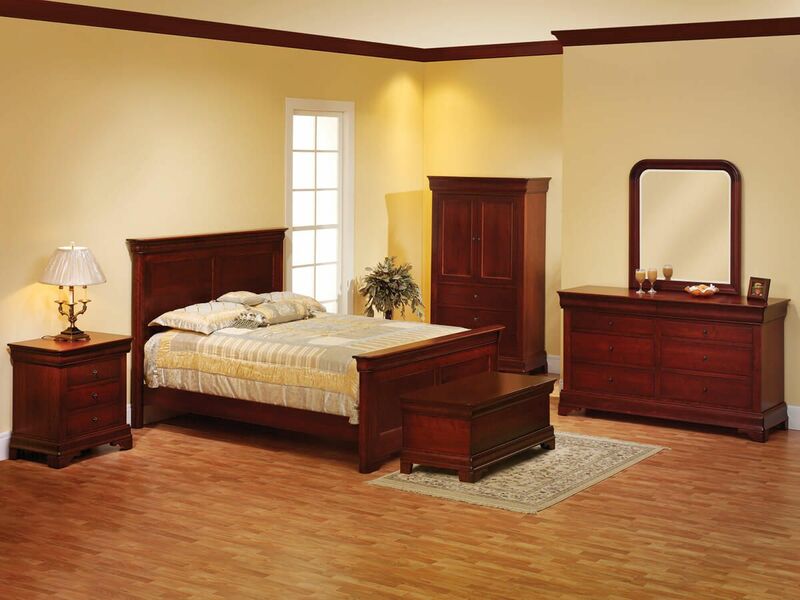 No matter what look you choose, our Amish artisans will ensure your nightstand is handcrafted to order.